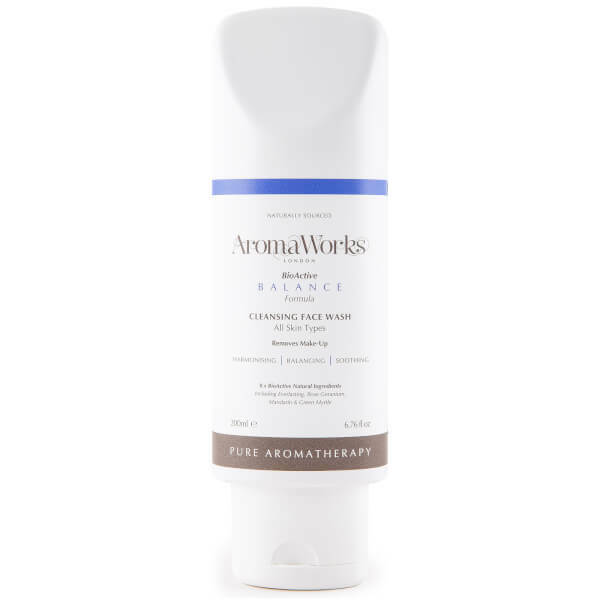 Clarify and refresh your complexion with the AromaWorks Balance Face Wash; a luxurious cleanser that utilises BioActive natural ingredients to decongest combination and oily skin. Fortified with Everlasting Rose, Geranium and Green Myrtle, the anti-ageing face wash gently eliminates impurities, make-up and excess oil without stripping moisture, whilst Organic Sea Buckthorn and antioxidant Vitamin E rejuvenate and rebalance skin. Delivers an uplifting fragrance blended with warm citrus and floral accords. Use on the face and neck.